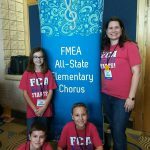 At the Academy, each student receives general music and vocal instruction based on Florida’s Next Generation Sunshine State Standards. 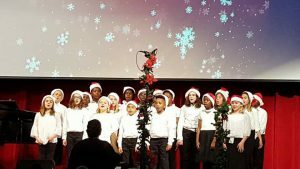 Through singing, movement, and instrument play, students meet music education benchmarks through the Big Ideas of the Arts (NGSSS): Critical Thinking and Reflection, Skills/Techniques and Processes, Organizational Structure, Historical and Global Connections, and Innovation/Technology and the Future. Curriculum is based on Orff and Kodaly methods, and Will Schmid’s World Drumming program is also implemented for all students. On a weekly basis, students play Orff instruments, tubanos (world drums), ukuleles, hand chimes, recorders and a wide variety of percussion instruments. 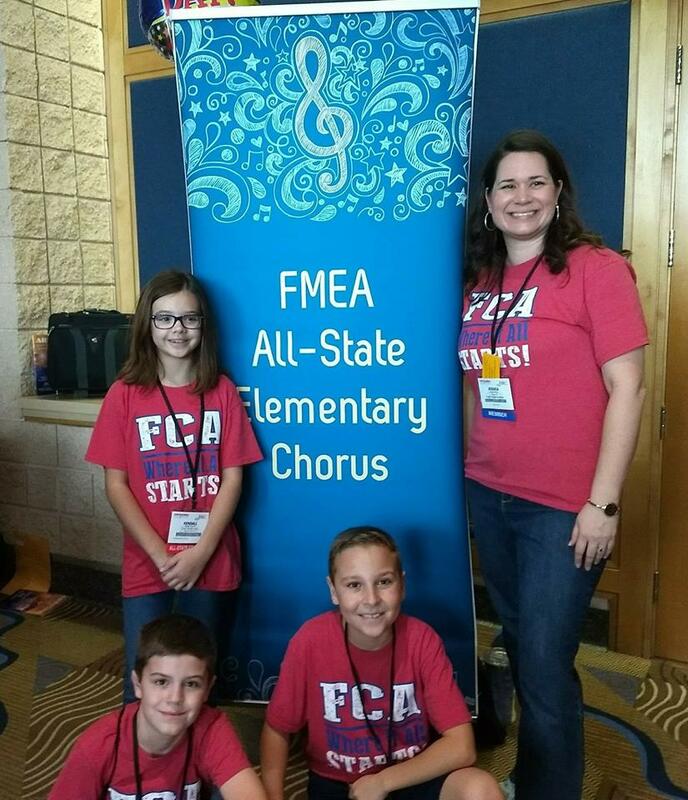 Elementary students audition for and participate in Florida All-State Elementary Chorus each year and upper grades are given opportunities to perform for local community events in the area. 4th-8th grade students have the opportunity to become a member of “Falcon Beat,” the Academy’s premier percussion ensemble. We can’t wait to see you in the music room! The visual arts program at the Academy provides students the opportunity to experiment with a wide variety of art media. Students are introduced to drawing, painting, printmaking, sculpture, mixed media, 2D and 3D concepts and fiber arts. 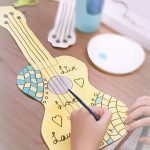 The curriculum emphasizes both process-based art and product-based art with the overall goal of encouraging enjoyment of the creative process and art appreciation. Students in all grades receive art instruction based on Florida’s State Visual Arts Standards. 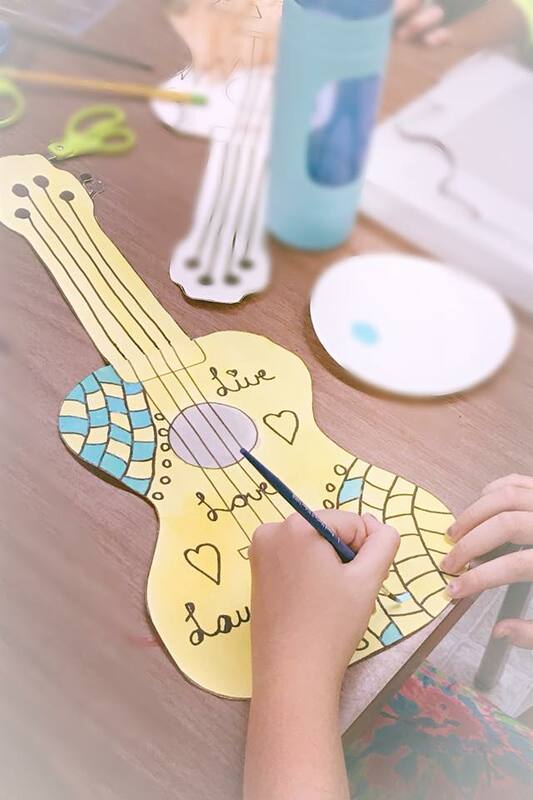 Students will use the elements and principles of art to effectively communicate an idea, focus on using good craftsmanship when producing works of art, and develop creativity and problem-solving skills. 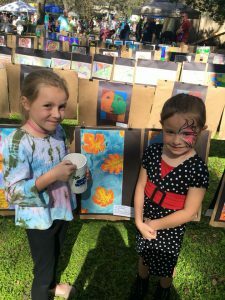 In the fall, students with exemplary art work, are selected to compete in the Temple Terrace Art Show. Each spring, the Academy hosts an art and music program where each child has some of his or her work displayed.